With the traditional pike season fast approaching The National Anguilla Club is asking predator anglers to cease using eels as bait, and choose sustainable alternatives instead. The European Eel (Anguilla anguilla) is officially listed BY CITIES (the Convention on International Trade in Endangered Species of Wild Fauna and Flora) as a ‘critically endangered species’, with stock levels believed to be as low as 5% of average levels in the 1970’s. Eels are now protected by law. In England & Wales it is an offence to remove an eel (Anguilla anguilla) from freshwater, from estuaries or inshore waters, up to a distance of six nautical miles. Scotland’s Eel Management Plan prohibits fishing for eels by any method, without a licence from Scottish Ministers. Despite this, eel stocks are still being exploited for commercial gain. In certain parts of the world they are considered a delicacy and the export process is therefore a lucrative business. The eels sold to predator anglers as deadbaits are casualties of this trade. Earlier this year the Angling Trust called for an end to commercial eel fishing as it is simply not sustainable. Our sport therefore needs to get its house in order by ending the demand for dead eels by anglers wishing to use them as bait. In an historic move the Pike Anglers Club of Great Britain, the Pike Anglers Alliance for Scotland and the Catfish Conservation Group have united in issuing a recommendation to their members asking them not use eels as bait, particularly when there are so many other sea and freshwater species which can be used without any negative impact on their overall populations. In helping us to take a lead on this issue PAC, PAAS and the CCG hope that this recommendation will have a positive influence upon the wider angling community, and play a valuable part in relieving pressure upon eel stocks. Please support them on this very important issue. Don’t buy eels to use as bait when there are plenty of sustainable alternatives to choose from. Thank you. 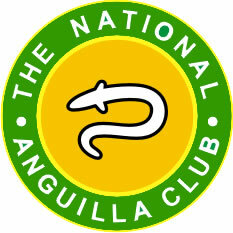 www.nationalanguillaclub.co.uk The National Anguilla Club was formed for eel angling specialists in 1962 and is the longest continuously running specimen group. NAC membership includes fish-ins for members only, a specialist Anguilla magazine, invitations to the AGM and annual conference and also helps to fund the NAC’s involvement in eel conservation campaigns nationally. This entry was posted in News and tagged Angling Trust, Eels, Fishing. Bookmark the permalink.